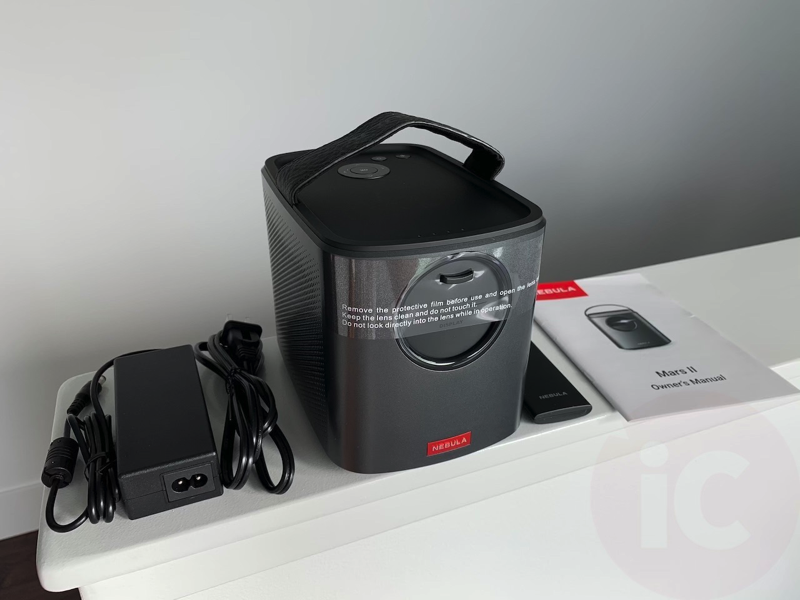 If you’re in the market for a portable projector, Anker has a line of portable projectors available under the Nebular brand. 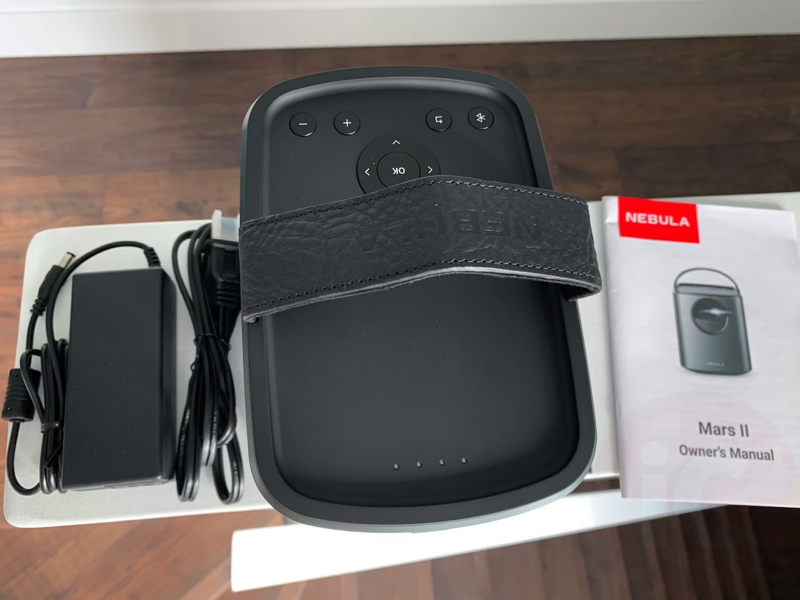 We had the chance to test out the company’s Nebular Mars II portable projector, which allows movie goers to throw a giant screen on the wall, anywhere in their home or on the road. The Nebular Mars II offers 720p high definition picture quality (1280 x 720 resolution) with DLP technology and has 300 lumens of brightness. It has quick 1-second autofocus and runs a custom fork of Android 7.1. Inside the box, you’ll find the Mars II projector itself, a remote control and AC adapter to go with the instruction booklet. The projector is a Red Dot design award winner for 2018. The unit itself comes with a leather-like carrying handle and has control buttons along the top and input along the back. There’s a built-in lens cap as well. Controls along the top allow for quick access to volume, back, and Bluetooth. The Mars II can act as a Bluetooth speaker and also has a built-in battery, allowing for ultimate portability. It also has built-in Wi-Fi to connect to whatever wireless network is available. 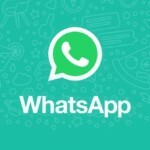 No network available? The USB port allows you to play videos from any USB stick or hard drive. 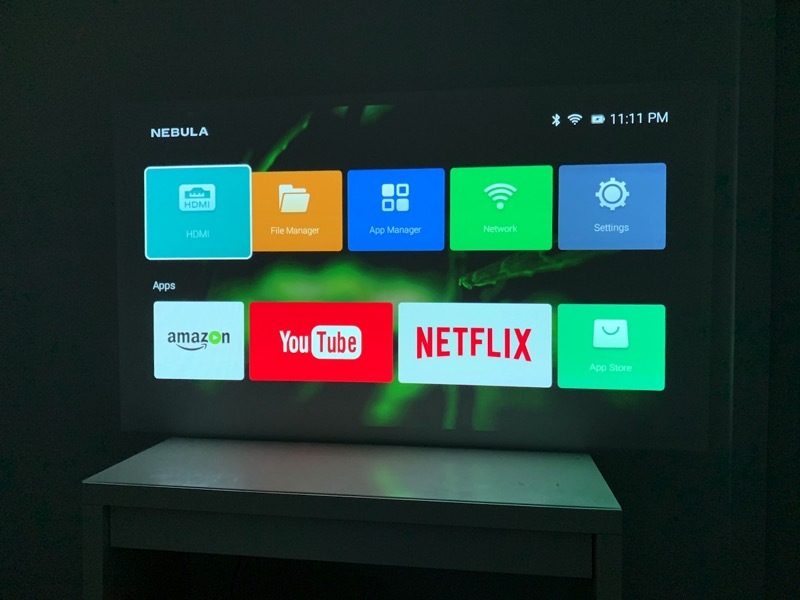 The remote is easy to control the Mars II projector, but using Anker’s Nebula Connect iOS app is highly recommended, to make it easier to login to services such as Netflix, Amazon Prime Video and more. Below is what the Mars II home screen looks like, with quick shortcuts to install Amazon Prime Video, YouTube and Netflix. You can also access HDMI which means you can play any console with the Mars II as well. The Nebular Mars II can project 30 inches to 150 inches on a wall in 720p. Below is the largest image we could make in our room and if you have decent expectations, the quality is still very good for making your own portable home theatre. One of the most surprising aspects of the Mars II was its dual 10w speakers, which were quite loud and clear, able to easily fill the room. They helped drown out some of the fan noise from the projector as well, if you have it placed close to you. The projector’s autofocus is fast too, as it will display a bullseye ring for it to quickly refocus itself should you bump or move the unit. 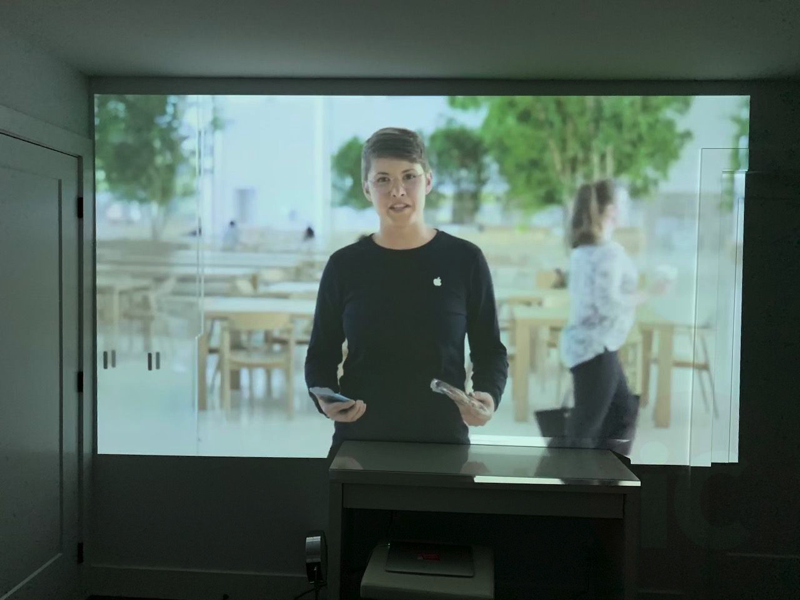 We tested the Anker Nebular Mars II portable projector in a pitch black room with blackout blinds and it looked great on the wall. But in daylight, the projector doesn’t show up as well, so it’s best to try it in darker environments. 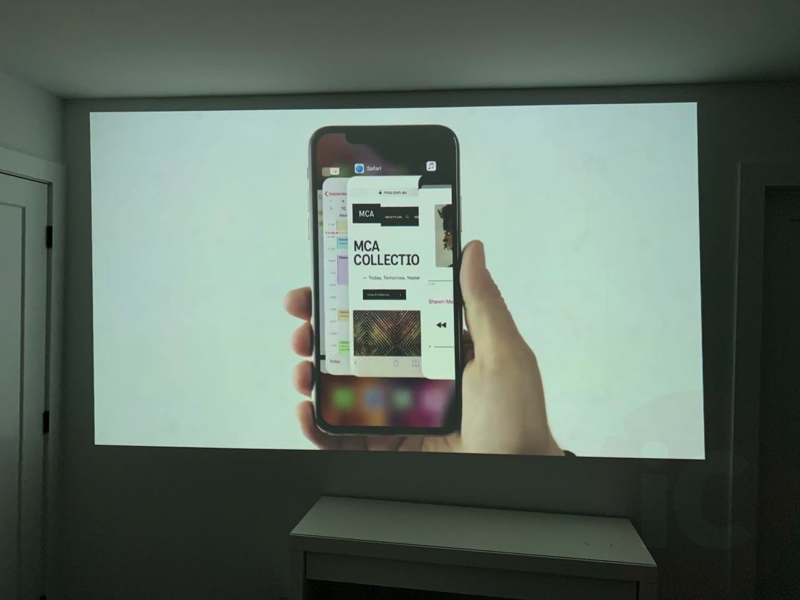 The Mars II also supports Apple AirPlay, and we were able to connect to the device to beam our iPhone home screen and whatever we were playing on our device. 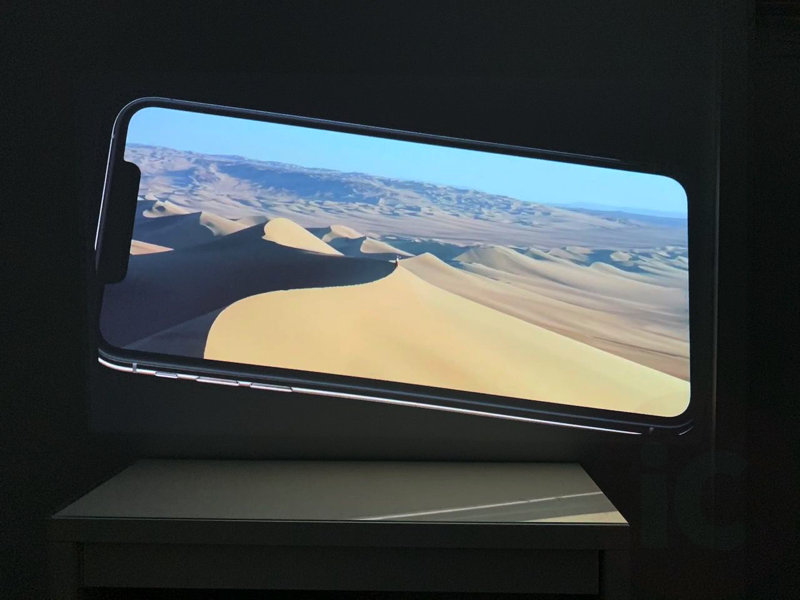 You can use the Mars II on its built-in battery, which Anker says can support up to 4 hours of video. We didn’t fully test the limits of the battery, but this should easily last you at least a movie or two (or about 1x Titanic and another third of a second marathon viewing). If you’ve been tempted to buy a portable projector, take a look at the Anker Nebular Mars II. It has fast autofocus, great picture in the dark, decent speakers for the size and also its HDMI port means unlimited possibilities. It’s also fairly easy to use and not overly-complicated to get set up and running out of the box. 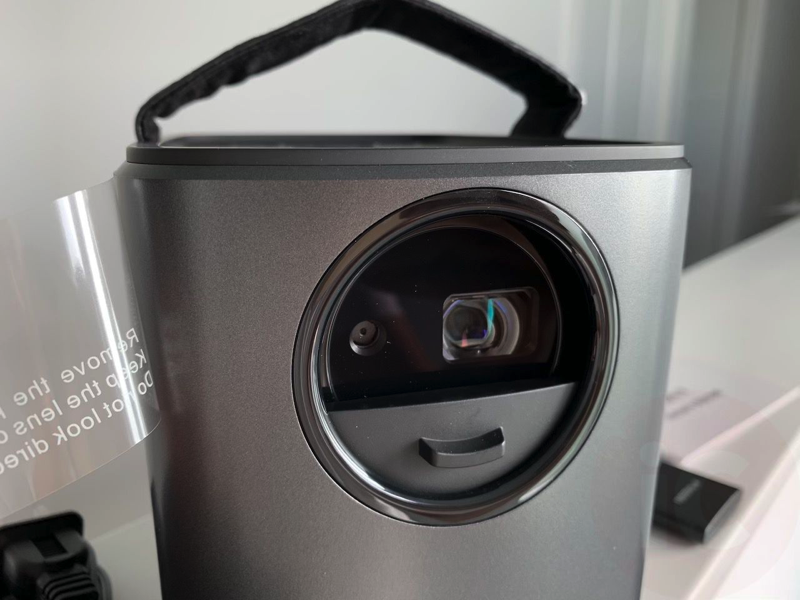 This portable projector will definitely impress your friends and family at your next BBQ or camping trip. I can also see it being useful for work presentations, without the need for a power outlet. As for a negative, it’s definitely the price of the Mars II portable projector, which is a whopping $1049 CAD on Amazon.ca. 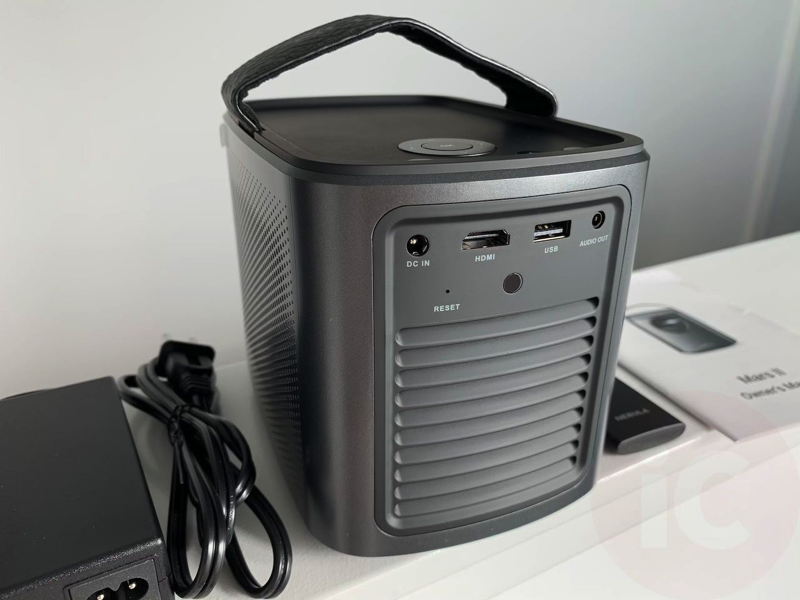 That’s a huge investment to spend on a portable projector, but if you need one that can go anywhere, plus supports AirPlay, USB and HDMI, the Nebular Mars II may fit the bill. 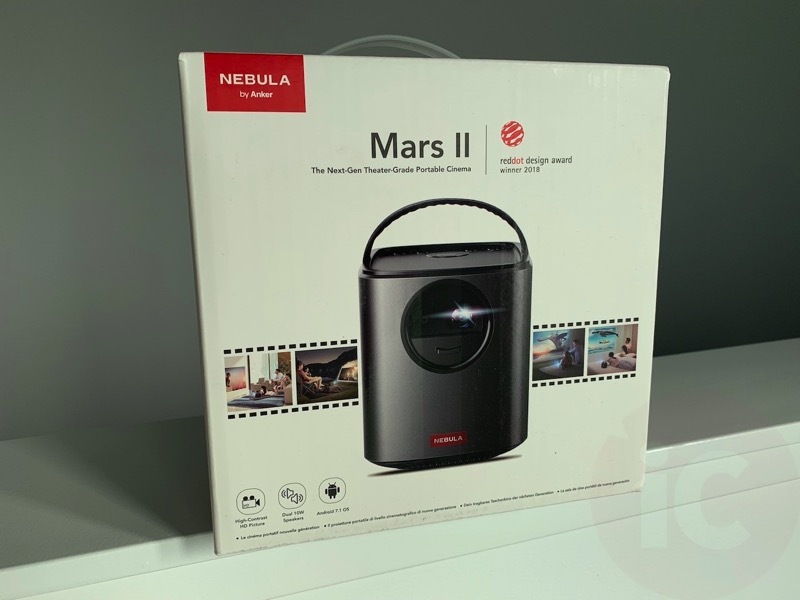 Click here to check out the Nebula Mars II projector on Amazon.ca.